Do you want your website to show up at the top of search engine results? My organic search marketing services will help your business. When your business ranks in Google’s top ten local search results, you’re bound to get new leads. My job is to improve organic SEO so that potential customers come to you. Ask me about my search engine optimization and content marketing for organic search services. By prioritizing organic search marketing and working with a SEO expert, you’ll see a high ROI. Organic search marketing services are managed monthly, promising long-term results you can rely on. Organic search engine optimization is exactly what it sounds like: organic, pure and free of advertising. When your web pages rank organically, it’s because Google and other search engines find the content on those pages authoritative and relevant to what’s being searched for. When your business offers information on a specific topic and your web pages are optimized for related keywords, you set your website up to be ranked highly. It’s not always easy to create authoritative, relevant web pages, though, which is why you need an SEO consultant. When you have an SEO expert optimize your web pages, you’ll see long-term results. Why is Organic Internet Marketing Important? Over 90% of adults who use the Internet rely on search engines. Oftentimes, when they search for something, they don’t look beyond the first page of results. As many as 75% of search engine users don’t move on to the second page or beyond. In order for your products and services to be found in search engines, you need to rank on the first page. The best way to do this is through organic search engine optimization. Not sure what the difference is between organic and non-organic Google results? When you perform a search on Google, the first results at the top of page one often have the word “Ad” in the text. This means that those results are backed by advertising. You’re seeing them because someone paid to have you see them. Organic results, on the other hand, are not backed by advertising; they’re free listings. They’re the results you see right after the ads. The reason why organic results are so important is because a majority of people skip the ads and go straight to the first organic results. My SEO services can help your web pages rank on the first page for local search results. In my job as an SEO expert, I’ve worked directly with clients to understand their business and determine the most effective organic SEO strategies to employ. The first step is to determine the keywords and phrases that are relevant to what you offer. It’s important to make sure that only profitable SEO is chosen during this stage. Next, I’ll setup on-site and off-site SEO that adheres to SEO best practices. This is the process that will improve your organic search results. Only the services that are most relevant to your business and your goals will be chosen. Once I’ve thoroughly evaluated your website, we’ll discuss ways that it can be improved. We’ll go over things like how to better layout your website and potential design updates to adhere to SEO best practices. Ultimately, the goal is to create a website that’s as optimized for organic search engine results as possible. Once I have the SEO research completed, we’ll discuss a structure for your website’s sitemap. This will include the new meta data I create as well as improved URL structure. The idea is to include targeted SEO wherever possible in order to attract organic traffic. Next, we’ll update the content on each page to make sure it’s structured appropriately for SEO. This includes heading header tags, including SEO naturally throughout the copy and linking to other content on your website. I’ll make sure that only relevant content is linked to so that your visitors know to trust what you offer. Organic search engine optimization is an ongoing process. It needs to regularly be analyzed and updated.  My services include regularly updating and evolving your SEO so that it continues to deliver results, including quality rankings and conversions. There’s more to increasing SEO that employing only on-site strategies. Off-site optimization is also part of a quality campaign. While off-site optimization can be time-consuming, it’s an integral part of your overall campaign. Off-site optimization is what will help raise the reputation of your website and present your business as trustworthy. In the past, keyword stuffing – including as many keywords as possible in content – was considered the main SEO strategy. Additionally, strategists would create as many backlinks as possible to the content, even if they didn’t strictly adhere to best practices. Today, there’s more of a need for quality than quantity when it comes to SEO. The most important part of SEO optimization is create high-quality, original content. Once we have valuable content for your business, we’ll find the best places to showcase that content. This may include your own blog, industry blogs where we will submit guest posts, and news sources, in addition to social media platforms. As an expert in organic SEO and Internet marketing, I will work with you to develop a marketing strategy with the goal of increasing your organic search ranking and attracting leads that convert. Contact me with any questions or to get started on your organic marketing campaign.